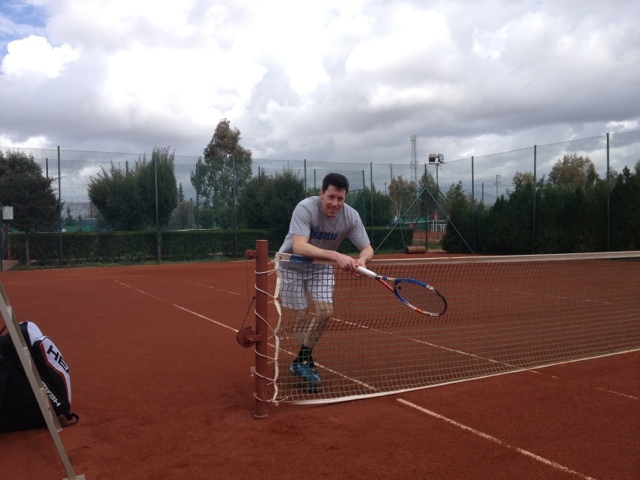 Latest news from Naas LTC! Courts, foyer and bathrooms will be accessible from 9 to 5.30pm on Good Friday (29/03/2013). Also, the Club is going to be very busy for the next few weeks. We have Easter camps, leagues, provincial towns, Veterans tournament, Easter Junior tournament, etc. Please check court availability before you leave home. Easter Junior tournament for the kids is running from 02/04-06/04. Entries received online from the 19/03 – 22/03. Payment must also be made by the 22/03 or you lose your place. Our Alan Donnelly is in Turkey representing Ireland in the Over40’s team. Isn’t it amazing? For the occasion, Alan has set up a Blog. You can follow his adventures here > http://turkeywtc.blogspot.com. The Dome is now back up and running. Well done to all our volunteers who always strive to make our (tennis) life easier! Dear members, all courts are under 30mm of snow this morning (Feb 5th) so please phone tennis club for up to the minute news of courts (tel: 045879766). Unfortunately due to the gusting winds, our Dome has had to be taken down due to storm damage. Please bear with us while we try to assess fully the damage and understand next steps. The courts 1-8 are fully playable but please understand that the courts will be busy and support your coaches, duty officers and your club! Noelie will be teaching the participant how to actively decide, prepare, action and evaluate their tennis goals both performance and non-performance related. This workshop is strongly advised for all Development Squad players and any other tennis player that wishes to take part. This event is Free and is sponsored by The Junior Committee.